There are places that you realize should have more recognition the minute you walk in or sit down. 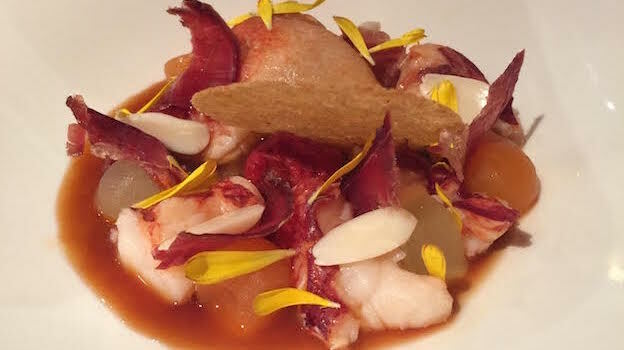 Jean-Luc Brendel’s outstanding La Table du Gourmet is one of these. The restaurant is nestled on a quiet side street of the postcard pretty Alsatian town of Riquewihr, an open air museum of very well kept 16th and 17th century houses and cobblestone streets it’s impossible to tire of, even if the pedestrian-only main road can get very densely populated with tourists during daytime. More importantly, it’s at this temple of very creative haute gastronomy in Riquewihr where I have had, going back years, my longest streak of great meals in Alsace. La Table du Gourmet is family affair, with Jean Luc Brendel in the kitchen and sister Fabienne in front of the house. Anne Humbrecht is the sommelière. If you are especially tall, be careful of the low lying ceiling and its pretty wooden beams, especially when gazing too long at the intensely red walls, inspired by the principles of Feng Shui and which might make you forget where you are. 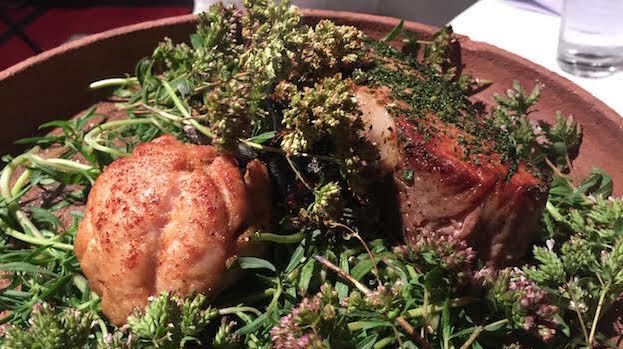 The dishes are all precisely executed, flavorful, and though distantly rooted in Alsatian traditions, clearly push the envelope of flavor juxtapositions and aromatic intensities. Best of all, it is a subtle, refined cuisine that won’t leave you feeling bloated or heavy. The “garden scenery” appetizer is marvellously light yet flavorful, the oily, intense personality of the eel washed clean by crunchy and perfumed veggies; the meagre is an especially concentrated and well cooked (very juicy and yet crispy at the same time) slab of fish with whimsical accompaniments such as popcorn and lemon aïoli. The fish called meagre (Argyrosomus regius) may not be well known in North America, but it is certainly deserving of fame, as it’s an extremely high quality fish of the Mediterranean and the Atlantic Ocean (from France to Senegal, essentially). A member of the family Sciaenidae and with a distant resemblance to the European Sea Bass (like that fish, meagre also has a pearly-silver hue and a long, thin shape), it can run up to two meters in length (roughly seven feet) long, and can weight up to 55 kg. (over 100 pounds). It’s called Corvina in Italy and it is always an excellent choice in restaurants, as it is rarely a farmed fish, while European sea bass (Bar or Loup de Mer in French; Spigola or Branzino in Italian), almost always is. Foie gras is an Alsatian staple and is found everywhere in the region. The best is always made from goose liver (duck foie gras is flavorful but less refined). The veal and sweetbreads are also especially noteworthy culinary renditions on this night. 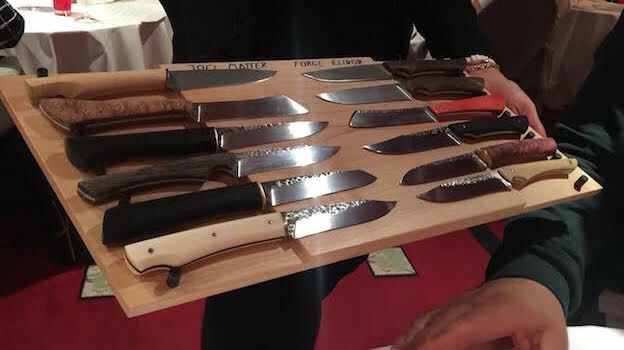 A choice of knives is presented before the arrival of main meat course, which adds to the flair of the dining experience. I washed down Brendel’s lovely dishes with, what else, two great Alsatian wines. I kicked off dinner, as I very often do, with a sweet wine: provided these have enough acidity not to be cloying, they work amazingly well with rich, intense appetizers featuring pumpkin, blue cheeses, foie gras or liver terrines, scallops, shrimp, lobster and more. It’s really something I think should be tried more often by all food lovers, instead of relegating sweet wines to an afterthought come dessert time. Clearly this sort of wine and food paring won’t work for everything (admittedly, d’Yquem and porterhouse are not the way to go), but late harvest wines are actors that can play more parts at the dinner table than those they are usually limited to. The 2006 Louis Sipp Riesling Kirchberg de Ribeauvillé Grand Cru Séléction des Grains Nobles is balanced and clean, with rich honeyed aromas and flavors of mango, quince, peach and aromatic herbs, plus hints of lemon verbena and gin. 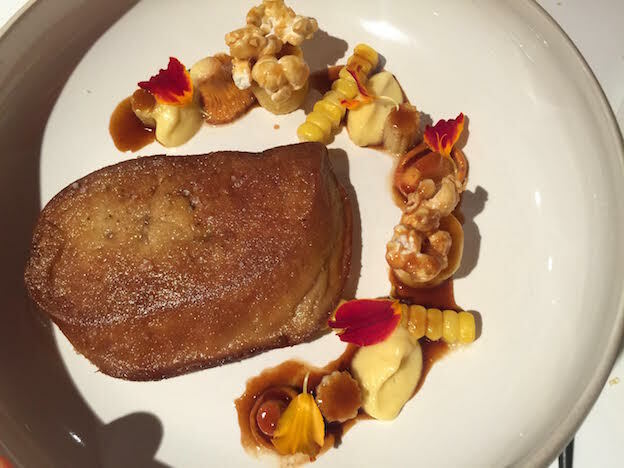 It is not especially sweet, and matches well not just with the foie gras and lobster, but the meat dishes as well. 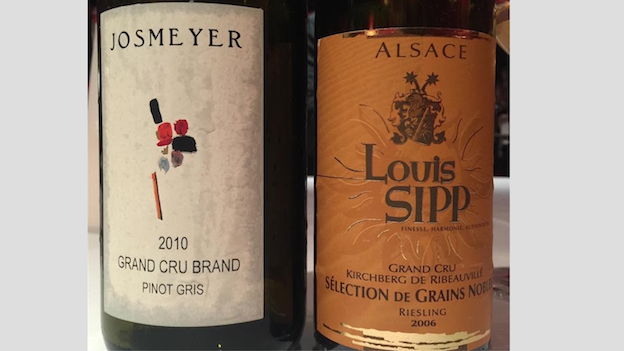 The 2010 Josmeyer Pinot Gris Brand Grand Cru is a stellar wine that showcases the heights this variety can reach in Alsace when the product of a true grand cru terroir and low yields. Admittedly, Josmeyer is especially adept at turning out great Pinot Gris. Rich yet steely, long and penetrating, the 2010 (a great year of high acid but ripe Alsace wines) lingers magically on the taste buds. 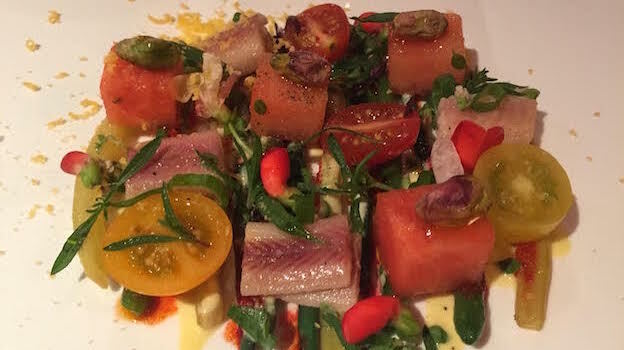 It proves a great way to bring another fine meal at La Table du Gourmet to a wonderful close.